World AIDS Day was held for the first time in 1988. Nearly three decades on, millions of people around the world wear the iconic red ribbon on December 1 as a symbol of awareness and support. World leaders committed last year to end the AIDS epidemic as part of the Sustainable Development Goals. The red ribbons on lapels, billboards and buildings are a reminder of both how far the world has come in the struggle against HIV/AIDS and the work left to do to achieve this target. 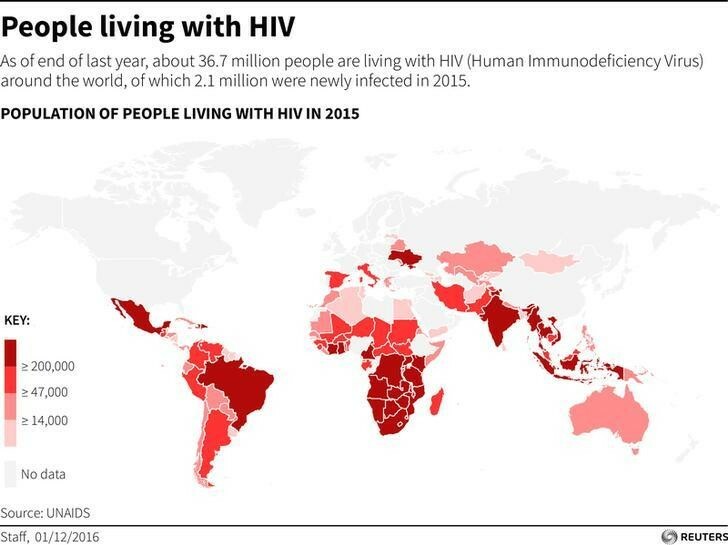 Here’s a glimpse at the state of HIV/AIDS worldwide today. Some 35 million people have died from AIDS-related illnesses since the first cases of HIV were reported, and, overall, 78 million have been infected with HIV, according to UNAIDS , the Joint United Nations Programme on HIV/AIDS. 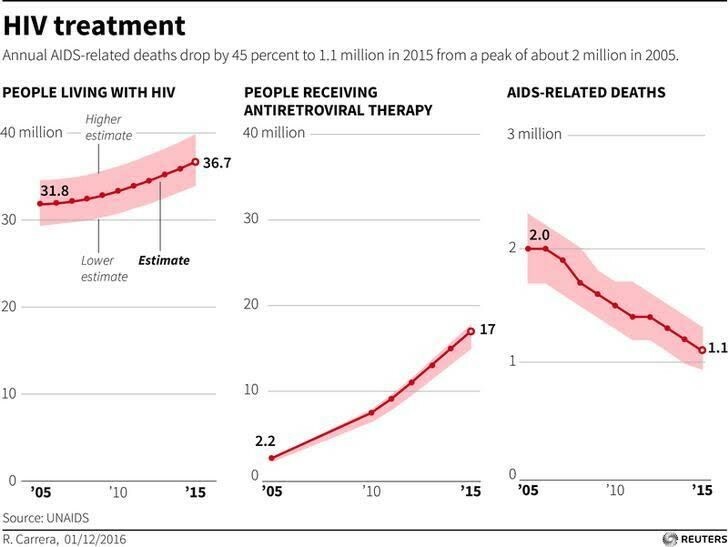 Thanks to a dramatic scale-up of antiretroviral treatment, AIDS-related deaths have fallen by 45% to 1.1 million in 2015 from a peak of 2 million in 2005. Globally, 36.7 million people were living with HIV in 2015, the majority in poor and middle-income countries. As of June 2016, around 18.2 million were receiving antiretroviral therapy , up from 15.8 million at the same time last year, and 7.5 million in 2010. Last year, around 2.1 million people became newly infected with HIV. While the number of adults acquiring the virus is not falling, huge advances have been made in tackling mother-to-child transmissions. In the past five years, new infections among children halved – 150,000 in 2015, down from 290,000 in 2010. UNAIDs warns that young women are particularly at risk of infection. 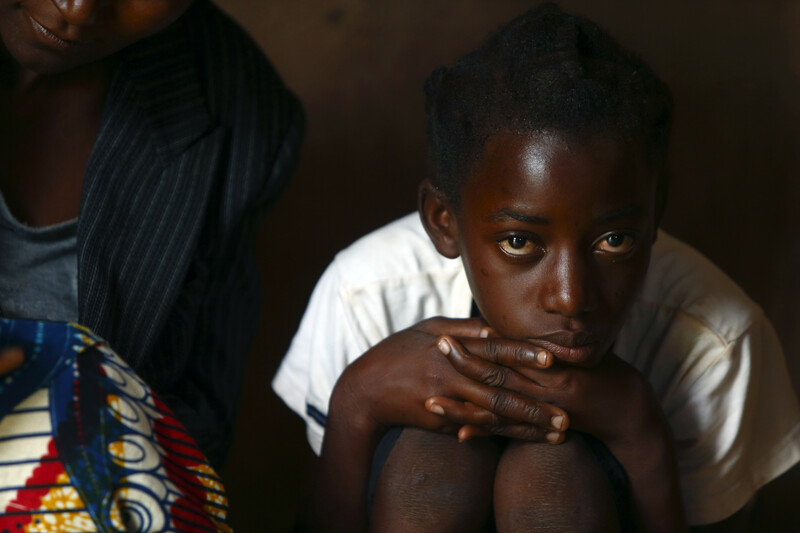 In sub-Saharan Africa, adolescent girls face a triple threat: a high risk of HIV infection, low rates of HIV testing and difficulty sticking with HIV treatment. Tuberculosis (TB) caused about a third of AIDS-related deaths in 2015. TB-related deaths among people living with HIV have fallen by 32% since 2004, although it remains the leading cause of death. Attitudes have moved on since the first World AIDS Day back in 1988 – countries where the topic was once taboo are now talking about HIV and offering testing and treatment. But this doesn’t mean that the stigma around the virus is now a thing of the past; far from it. 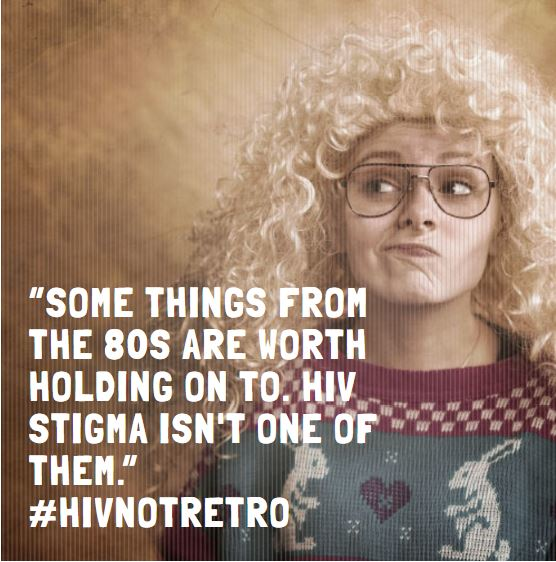 The 2016 World AIDS Day campaign, ' Not Retro, Just Wrong ', urges people to stop stigma and abuse against people living with HIV.